The subject of this portrait is Daniel-Henry Kahnweiler (1884 - 1979), a German-born art dealer, writer, and publisher. Kahnweiler opened an art gallery in Paris in 1907and in 1908 began representing Pablo Picasso, whom he introduced to Georges Braque. Kahnweiler was a great champion of the artists' revolutionary experiment with Cubism and purchased the majority of their paintings between 1908 and 1915. He also wrote an important book, The Rise of Cubism, in 1920, which offered a theoretical framework for the movement. Shortly after completing his Portrait of Vollard, Picasso turned his attention to another influential dealer, Doniel-Henrg Kahnweiler, Hailing originally from Germang, Kahnweiler had begun to make inroads into the Parisian art market, and at this time he was beginning to buy works by Picasso. Not long after this portrait was painted, Kahnweiler offered Picasso an exclusive contract that secured the artist's financial security until the outbreak of the First World War. Portrait of Daniel-Henry Kahnweiler represents a further incursion into the break-up of form to the point at which the sitter seems barely discernible, Kahnweiler's face can just about be picked out in the upper-right of the image, identifiable mainly by the inclusion of a wave of hair and a simple line to suggest a moustache. Two similar lines in the lower centre of the image register his watch chain, whilst his clasped hands can be seen at bottom-centre. Interestingly, Picasso included on African mask in the top-left, though this is barely discernible. 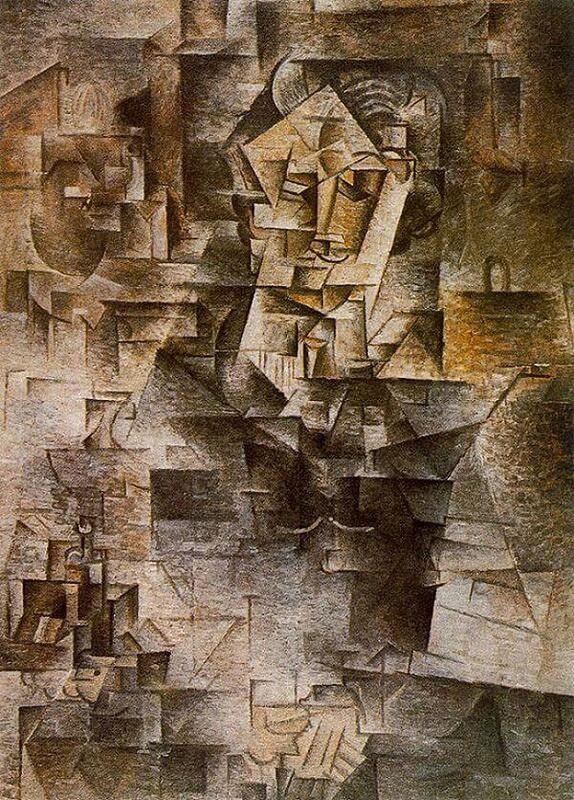 From this point onwards, Cubism would rapidly develop into on even more experimental and challenging art form.